While a visit to any cultural festival for me is exciting, but there is a different thrill and joy when it comes to celebrations from the Northeast (NE) region of India. In an age of growing hostility and indifference amongst men, a cultural fiesta such as the Northeast Festival reflecting strong love for one and all is a shining example for everyone. The land comprising beautiful seven sisters and one brother guarded by blue hills, best known for its undulating hills and valleys, breathtaking tea gardens and bamboo forests, and year-round festivals — is now growing in popularity for hosting this annual carnival. To be held within the grounds of the famous Indira Gandhi National Centre For Arts (IGNCA) from November 07, 2014 to November 10, it has been proving increasingly popular since its inception in 2013. Be mesmerised by the poetry of music, song and dance at this extravaganza organised by Trend MMS in association with Delhi International Arts Festival, North East Community of Delhi and IGNCA which showcases the NE region at its absolute best. This expression of the local spirit will relay stories about the diversity of the region which is rich in unique traditions and culture. On creative arts will be fashion shows by designers like Dhiraj Deka from Assam (who participated in London Fashion Week 2013), Yana Ngoba (Arunachal Pradesh), and Garima Saikia Garg (Assam); exhibition of photography, painting, film, handloom and handicraft and agriculture. Experience different cultures by participating in the various workshops on offer and take the opportunity of purchasing some unusual gifts at the gift stalls. An explosion of aromas and smells will assault your senses with food tastings from fourteen food stalls from the region. 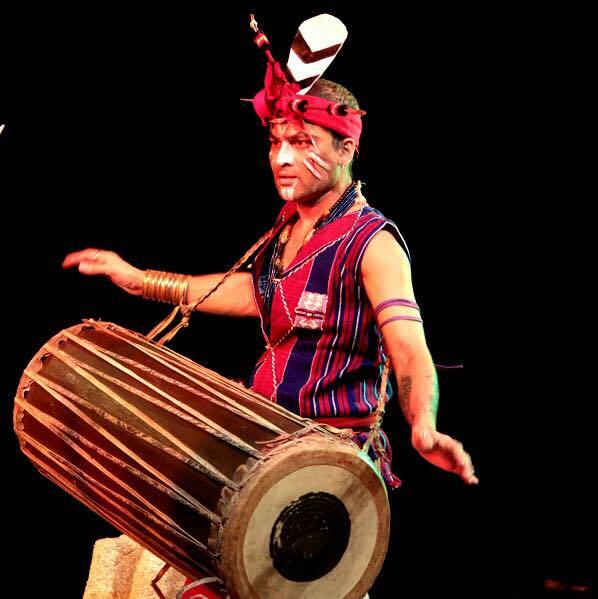 However, the highlight of the fiesta is the musical performances by more than 40 bands, including Zubeen Garg, Tetseo Sisters, Guru Reuban Masangva, Minutes Of Decay, Imphal Talkies, Aboriginals Proect, The Local Train, Soulmate, Girish the Chronicle, Vinyl Records etc. Bollywood singer – Ash King among others. Along with all the fun and frolic, this year’s festival also gears up to hold interactive sessions on topics as diverse as education, tourism, agro-food processing and entrepreneurship in the NE. Speakers include Union ministers Smriti Irani, Jual Oram, Nitin Gadkari and Ministers of State VK Singh, Shripad Yesso Naik and Piyush Goyal. The fest expects to attract more than a lakh people, and top NE icons like MC Mary Kom, Adil Hussain, Everester Anshu Jemsenpa and Shiva Thapa are likely to grace the mega carnival.